Fiona Onasanya’s vote was crucial as MPs voted by a majority of one to seek a further extension to the Brexit leaving date. Ms Onasanya supported a bill presented by Labour MP Yvette Cooper which aims to prevent a no deal Brexit. If it is passed by the House of Lords it will require the Prime Minister to seek an extension to the Article 50 process past April 12. However, it will be up to the EU whether to grant an extension. The bill passed by 313 votes to 312. Conservative MP for North West Cambridgeshire Shailesh Vara voted against an extension. Explaining the reason for her vote last night (Wednesday, April 3), Ms Onasanya tweeted: “Tonight I voted to extend Art 50. I previously voted for CM2.0, (which was rejected) along with other options in the hope that a compromise deal could be struck. CM2.0 refers to common market 2,0, a plan endorsed by Stamford MP Nick Boles which would see participation in the single market and a “comprehensive customs arrangement” with the EU after Brexit, but would force the UK to retain freedom of movement. Ms Onasanya voted last night following the conclusion of the opening day of an employment tribunal. The independent MP was taken to tribunal by a disabled former case worker who claims she was discriminated against. The tribunal is due to conclude on Friday. 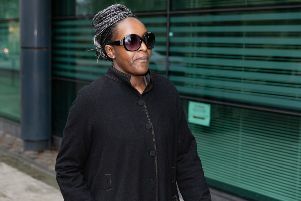 Ms Onasanya was expelled by the Labour Party in December after being convicted of perverting the course of justice for lying about who was driving her car when it was caught speeding in Thorney. She was sentenced to three months in prison which automatically triggered a Recall Petition which could see her lose her seat. The Recall Petition is currently running in Peterborough, and if 10 per cent of her constituents (nearly 7,000 people) sign it by 5pm on May 1 a by-election will be triggered. MP for Grantham and Stamford Nick Boles and Huntingdon MP Jonathan Djanogly both supported the bill last night. North East Cambridgeshire MP and Brexit Secretary Steve Barclay, South Holland and The Deepings MP John Hayes and Corby MP Tom Pursglove all voted against the bill.